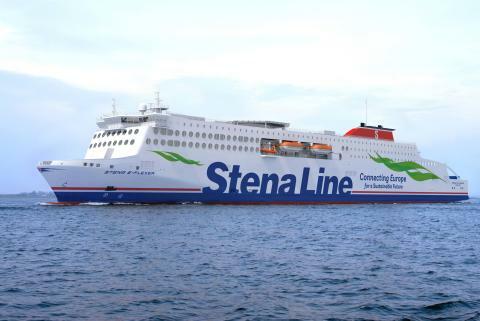 Stena Line’s CEO Niclas Mårtensson said: “Our Irish Sea routes are strategically very important to Stena Line and our customer, with the freight market between Ireland and UK experiencing significant growth over the last five years. That’s why we have invested almost £200m in our ports and vessels across the region to improve and grow our capacity to offer a frequent, reliable and high-quality service for our freight and travel customers. The deployment of three new vessels is a tangible example of our strategic growth plan for the Irish Sea. I’m delighted to confirm that the first of our new vessels will be deployed on the Dublin – Holyhead service planned for early 2020. Furthermore, I can also confirm that two other vessels will be assigned to our Belfast - Liverpool service planned for spring of 2020 and early 2021. Joe O’Neill, CEO of Belfast Harbour said: “It is fantastic to see Stena Line investing in Belfast and demonstrating its ambitions for the region. We are particularly delighted to welcome the most sustainable and digitally enhanced ships on the Irish Sea which very much fits with our own commitment to the environment. Last year, for the first time in its history, Stena Line carried over 500,000 freight units through Belfast Harbour and we look forward to working with Stena in the years ahead to support its ongoing success.